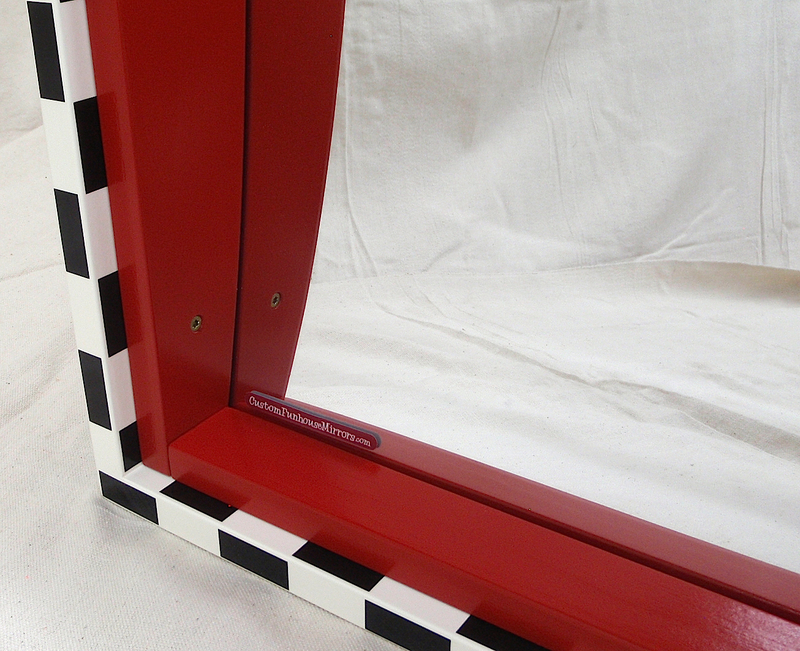 Totally Rad Checkered Funhouse Mirror - Available Now! This mirror is in stock and ready to ship! 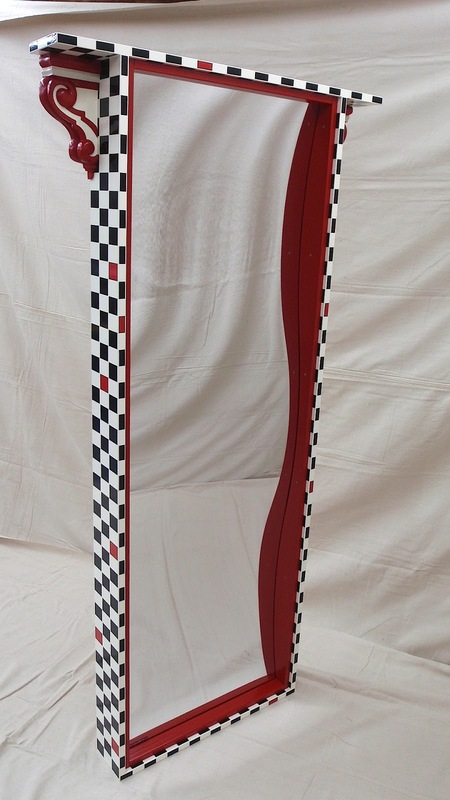 Price is $1,795 (US Dollars) and includes shipping in USA. Features our most popular double wave distortion with super tough 1/8" thick optical quality acrylic. 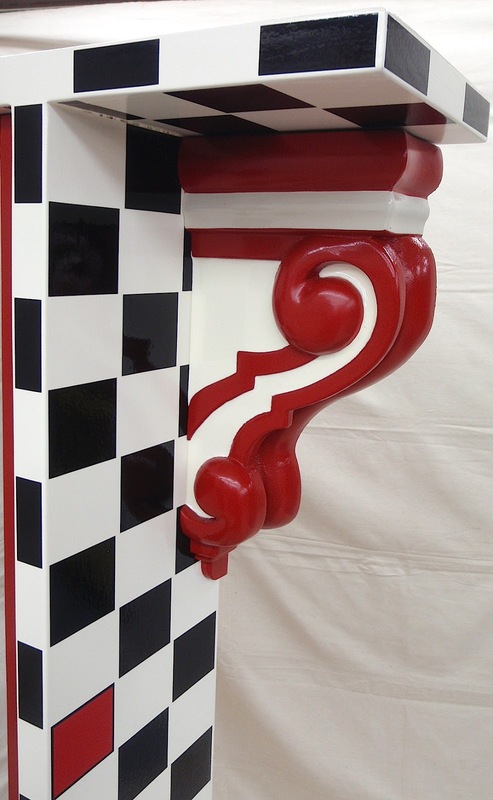 Select Pine has been used for the frame and it also features our high quality wood corbels. Painted with our top of the line waterborne acrylics and then clear coated. Wall mount kit included.